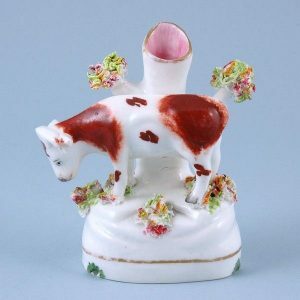 Staffordshire Cow with Tree Spill Holder. 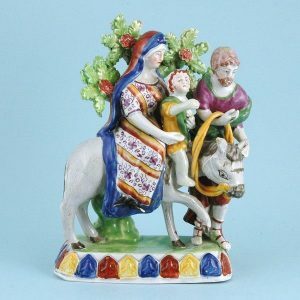 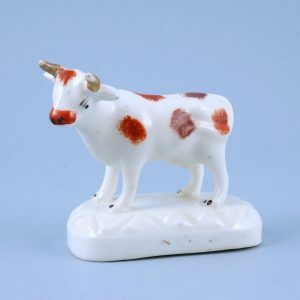 Staffordshire Porcelain model of a Bull. 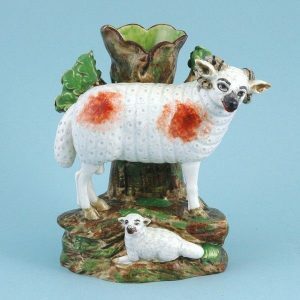 Staffordshire Pottery Ram & Lamb Spill Vase. 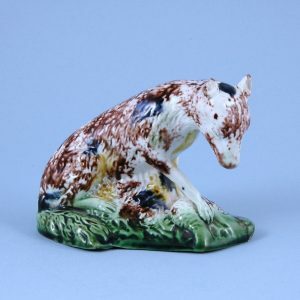 Whieldon type model of a Fox. 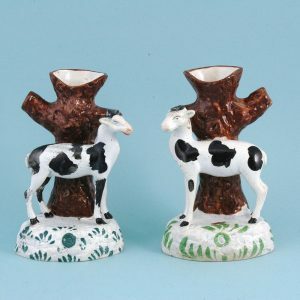 Two Scottish pottery Deer spill vases. 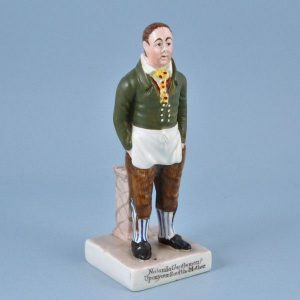 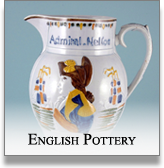 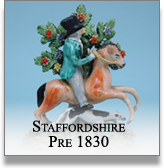 Staffordshire Pottery Theatrical Figure of John Liston as Sam Swipes. 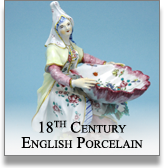 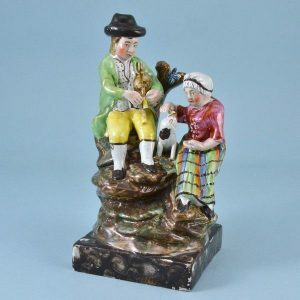 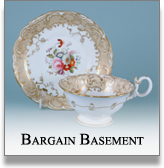 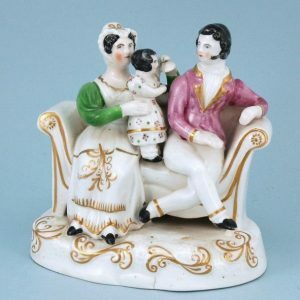 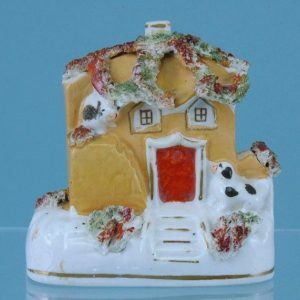 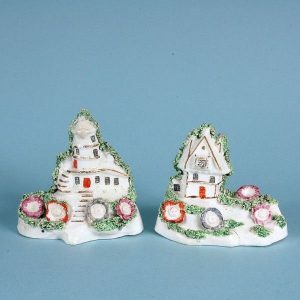 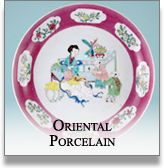 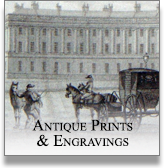 Antique Staffordshire pottery ‘Songsters’ figure. 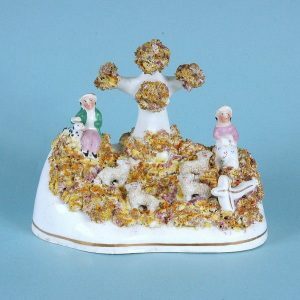 Staffordshire group of Shepherd and sheep. 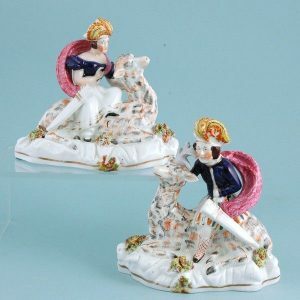 Pair of Staffordshire Royal Children riding Deer. 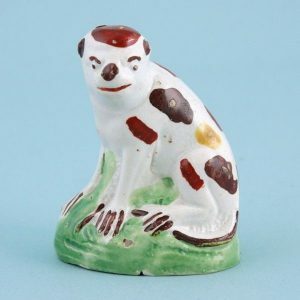 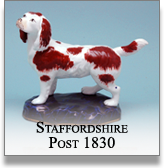 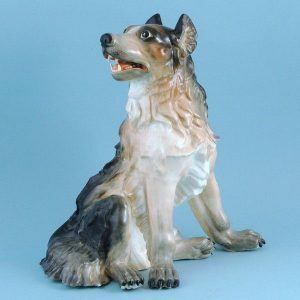 Unusually Large Staffordshire Porcelain Model of a Dog. 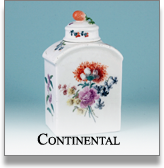 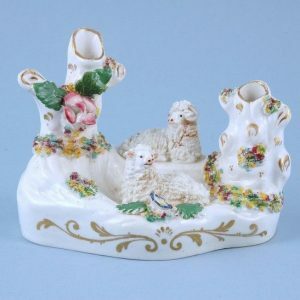 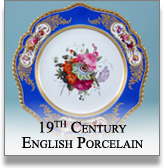 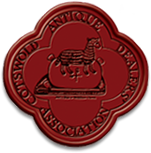 Staffordshire Porcelain Spill Vase with Two Sheep.